ATHOL – Robert (Bob) Banks Coyle Jr., 83, of 1978 Chestnut Hill Ave., died peacefully at home on Dec. 31, 2013. Bob Coyle was born in Boston on May 27, 1930, the son of Robert Banks Coyle Sr. and Bernice Ina (Baldwin) Coyle. He grew up in Dorchester and graduated from Dorchester High School for Boys in 1948. Mr. Coyle received the A.B. in Liberal Arts (1955) and A.M. degree in Geology (1962) from Boston University (BU) and was named the 1952 outstanding freshman cadet in the Reserve Officer Training Corps (ROTC). He was a 1954-1955 recipient of the Edwards Scholarship. He worked at the family-owned printing firm, Hall & Company of Boston, from 1944 to 1956. On Jan. 27, 1953, he married Barbara Jane Sherman of Weston and together they celebrated their 60th wedding anniversary last January with two dozen friends and family. Mr. Coyle taught geology, astronomy and ornithology at the Athol Junior High School (AJHS) from 1956 to 1957 and 1962 to 1988. He also served as head of the math and science department for several years at AJHS. He was presented the Torch Lighter Award by the Athol Teachers Association in 1969. For many years, his homeroom class at AJHS supported a Korean foster child Kim Myung Bae and held various fundraisers toward this endeavor. He served as Director of Massachusetts Audubon Society’s Wachusett Meadows Wildlife Sanctuary summer nature camp in Princeton in 1967. In the summer of 1968 he worked as a counselor at the Morgan Memorial Camp in South Athol. From 1957 to 1961 he served on the faculty of the Department of Geology at Allegheny College in Meadville, Penn., where he was involved in the exciting discovery and study of the remains of a prehistoric mastodon from Lake Conneaut in 1959. Over the four years Mr. Coyle was an instructor of geology and geography at Allegheny, he taught virtually every undergraduate course in geology. In 1961 to 1962 he was awarded a Graduate Assistantship at BU, during which time he began work on his PhD in Geology under the tutelage of the late Dr. C. Wroe Wolfe. He joined BU’s summer geology program based out of North Anson, Maine, and as part of his graduate research project he mapped the bedrock geology of the Kingsbury, Maine, U.S. Geological Survey Quadrangle, which necessitated his hiking into remote parts of this undeveloped part of Maine. For many years Mr. Coyle and his family summered in Mayfield, Maine, in a primitive log cabin on Kingsbury Pond where he enjoyed closeness with nature. He founded the Athol Bird and Nature Club (ABNC) in 1963 and served as its president for 25 years. It was in the 1960s that he began to assemble materials which became the ABNC Museum. The ABNC created a small wildlife sanctuary in the Thousand Acre Reservoir area in the 1960s and Mr. Coyle’s 8th grade classes took many trips into the area for nature study. The club recently celebrated its 50th anniversary with a dinner and history of the club at which time he received many accolades and received a letter of commendation from State Rep. Denise Andrews on behalf of Speaker Robert DeLeo and the Massachusetts House of Representatives. He was currently serving as the treasurer of the ABNC. He and his wife also enjoyed vacations at Star Island in the Isle of Shoals as well as numerous Elderhostel trips, two of which included significant visits to the British Isles. Along with his son and wife, he worked in the late 1970s and early 1980s as a volunteer at the Sandy River Railroad Park in Phillips, Maine, where he served in many capacities including train conductor, ticket agent and cook. Mr. Coyle served on the Athol Shade Tree Commission from 1967 to 1991, during which time the group was responsible for the placement and planting of many fine trees throughout the town. He authored a chapter on the Blue-gray Gnatcatcher in the 2003 book “Massachusetts Breeding Bird Atlas.” He worked as a wildlife rehabilitator for many years, caring for sick and injured wildlife, mostly birds, and took great joy in releasing his clients back into the wild. In recent years he continued to pursue nature study. Saturday morning errands always included checking for avian sightings around town with a stop at Adams Farm where he enjoyed visiting with friends and scanning the sky with binoculars for birds and studying distant mountain tops. Mr. Coyle was very interested in the history of the Shaker sect and had visited many former Shaker villages and was an active member of Friends of the (Sabbathday Lake, Maine) Shakers and the Boston Area Shaker Study Group. In retirement he continued to present programs to interested parties on nature, history of New England meetinghouses and many other topics. He loved to explore the back roads of New England, genealogy, visiting museums, photographing old churches, and many other pursuits. Always a teacher at heart he had enjoyed teaching at all levels and over the last year had enjoyed giving science lessons to his friend and neighbor Zach Thiem. He was a longtime member of First Church, Unitarian of Athol. While growing up he attended the Second Congregational Church and later First Parish, Unitarian of Dorchester. He had also attended the Meadville, Penn., Unitarian Church. Besides his wife he leaves one son, Christopher A. Coyle of Athol and his wife Amanda E.E. Taylor, and one brother, Ronald W. Coyle of San Antonio, Texas. He was predeceased by two brothers, Wallace E. Coyle and Wilson S. Coyle, and one sister, Carleen A. Hart. He leaves several cousins, including Muriel Pope of Billerica, and numerous friends throughout New England and beyond, including one very special 4-year-old, Miss Daphne Gregoire. Mr. Coyle willed his body to the Boston University Medical School. There are no calling hours. A memorial service will be announced at a later date. 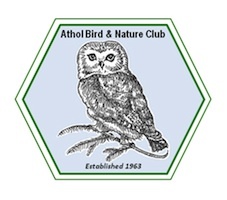 Those wishing to do so, may make a donation to the Athol Bird and Nature Club, 100 Main St., Athol, Mass., 01331, or to another charity of one’s choice. Higgins-O’Connor Funeral Home, 146 Main St., Athol, is directing arrangements. For further information or to share a memory with the family, go to http://www.higginsoconnorfuneralhome.com.